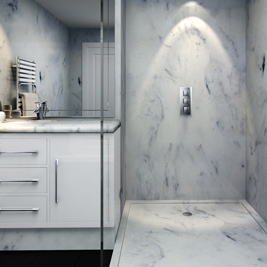 After choosing the shower panels, shower tray and work top from Versital, some finishing details might be needed to complete the luxury bathroom look. 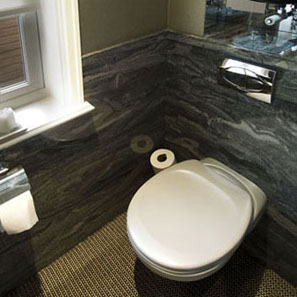 Versital offer a range of Skirting & Architrave to finish off any bathroom installation perfectly. All Versital accessories are available in the complete colour palette. 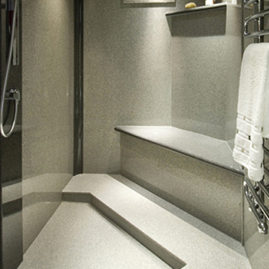 The luxury bathroom shown below uses various surfaces and finishing products, including Dado, in ‘Sandstone’ and ‘Coco Loco’. 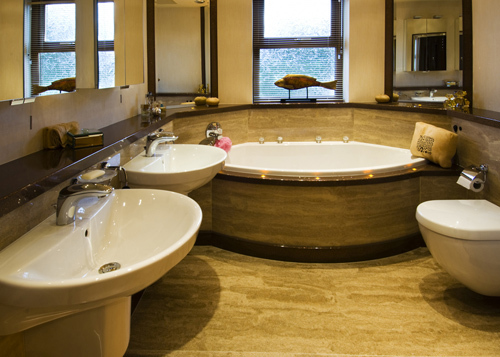 These finishing touches are what create a luxury bathroom feel. Use to surround mirrors and cover joins or corners in panels. You can choose a matching or complementing colour from the Versital colour range. It is available in lengths of 3000mm that can be cut easily to fit. 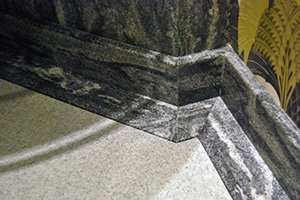 Versital resists scuff marks from shoes and does not suffer from water damage, making it the ideal material to use as skirting, especially in the bathroom. Available in the entire range from the Versital colour swatch. 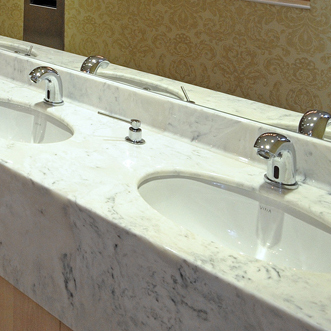 Plinth is available to finish off your bathroom and furniture. 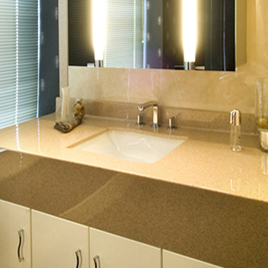 It can be used to finish bathroom cabinets, sinks and under baths; in fact, anything you need to be finished off using plinth, you can use Versital. Choose from the entire Versital range of colours. Match your toiletry holder to the rest of your bathroom with soap and shampoo holders for shower corners and inset into walls. The stain resistant and durable properties of Versital mean it will not suffer from water damage or become tarnished, making it ideal for finishing products. 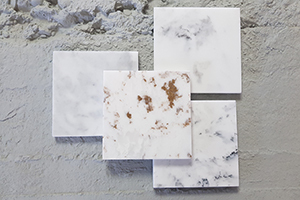 Available in the complete range of 90 colours in marble, granite, stone and sparkle to finish off the joins and edge details of bathrooms. Scuff resistant making it ideal as skirting. 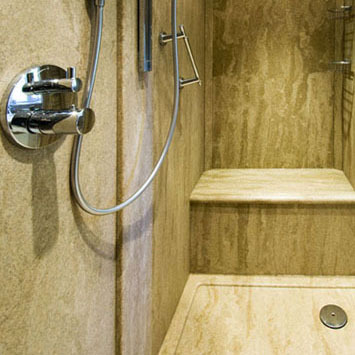 Versital bathroom dado, corner trim and skirting can be cut on site with ordinary wood working tools. Simple to install using sanitary grade silicone. We offer more information in our frequently asked questions.